Kennewick Insurance Agency for Auto, SR22, Home, Renters, and Life. Ever wonder why you’re paying so much for your insurance? Maybe it is because you haven’t called us for a free insurance quote? Quotes are free and only take a few minutes. Quickly compare your car insurance, motorcycle insurance, high-risk SR-22 insurance – even your home insurance and renters insurance. Let us help you save money today on all your insurance needs. 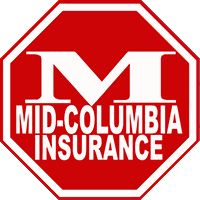 Join the thousands of satisfied customers who have made the move to Mid-Columbia Insurance. The days of paying too much for car insurance are over and let us help you get the best rate for your home insurance or renters insurance. Call us or visit our office and start saving on your insurance today! Our Kennewick office serves the entire Tri-Cities, including Kennewick, Pasco, Richland, Benton City, Finley, Walla Walla, and Burbank. Besides Kennewick, we have offices in Pasco and Yakima. Live elsewhere? We are able to serve clients in all of Washington state by phone. All of our insurance agents and support staff are bilingual, speaking both English and Spanish. We are between Columbia Center Blvd and Steptoe St, just west of Excalibur Auto Sales.